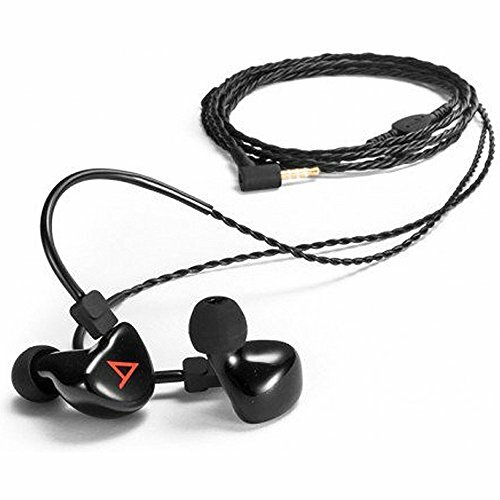 Astell & Kern Michelle Universal In-Ear Monitor in Black Michelle the fifth universal in-ear monitor in the Siren Series line is born from Jerry Harvey's over 20 years of experience in designing Custom IEM's that have become the choice of the biggest touring artists in the world. These are the very people who create the music that we all listen to every day. The Michelle features Jerry Harvey Audio's patented FreqPhase technology three specially designed balanced armature drivers for full dynamic range newly designed ergonomically shaped 3D printed shells and silver tinsel cable. The result is the Michelle Universal In-Ear Monitor another great collaboration between Jerry Harvey Audio and Astell & Kern. These two renowned companies continue to lead the industry and now bring their highest end performance to a unprecedented affordable price for music lovers all over the world. Three years ago Jerry Harvey Audio and Astell & Kern joined forces and together created some of the most highly reviewed high-end universal IEM's in the world: the Layla and Roxanne. The Michelle represents another collaboration to provide a more affordable version for all music lovers. Performance at this high a level has never before been available at such an affordable price. NEW Michelle IEM by Astell & Kern is the fifth Universal In-Ear Monitor in the SIREN SERIES line developed by JH Audio for Astell & Kern Digital Music Players. It features Jerry Harvey Audio's patented FreqPhase technology, three specially designed Balanced Armature Drivers for full dynamic range, newly designed ergonomically shaped 3D printed shells, and a Silver Tinsel cable. The Michelle IEM is an affordable, entry level IEM that's powerful and prefect for "on the go" listening with your smartphone, digital music player or AK dap. If you have any questions about this product by Astell&Kern, contact us by completing and submitting the form below. If you are looking for a specif part number, please include it with your message.